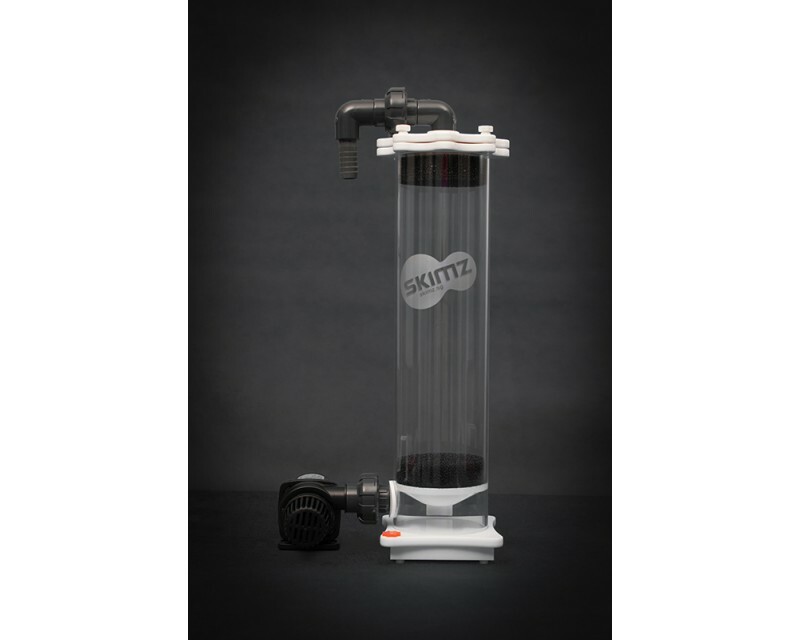 Skimz BR87 DC Biopellet Reactor is fitted with a QuietPro QP1.2 DC (1,200l/h) pump that lets you control the flowrate using the variable speed controller and can hold up to 400ml of Biopellet media. 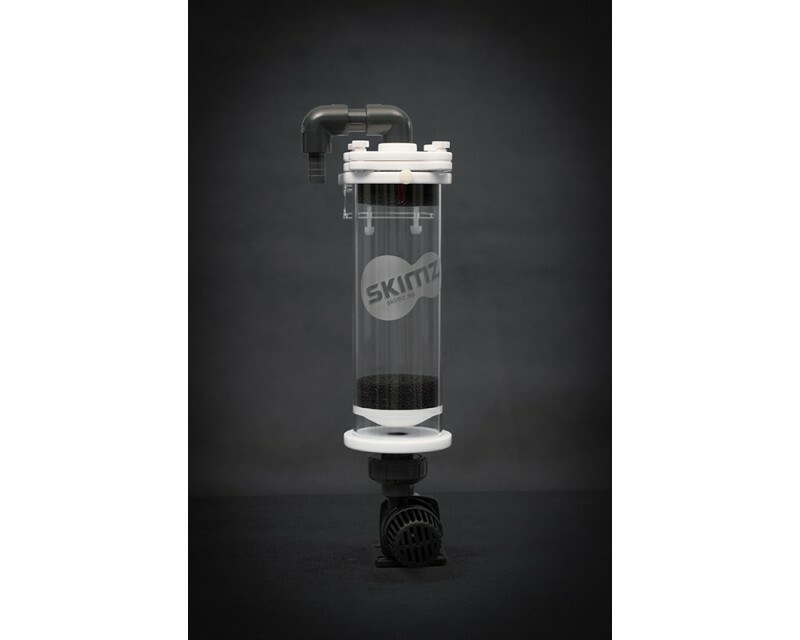 The BR87’s bracket can be used as a hang-on or attach horizontally to the brace of the tank. The bracket will fit up to 19mm thick glass or acrylic.